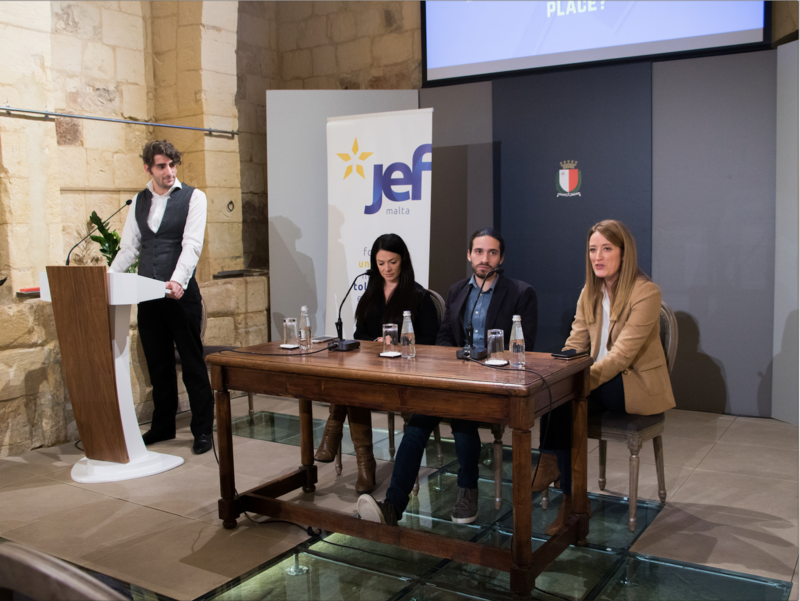 “Our greatest enemy is complacency” and “complacency brings stagnation” were the salient points of the first two speeches by the President of Malta Maire-Louise Coleiro Preca, followed by the President of JEF Malta Nicola Mangion. 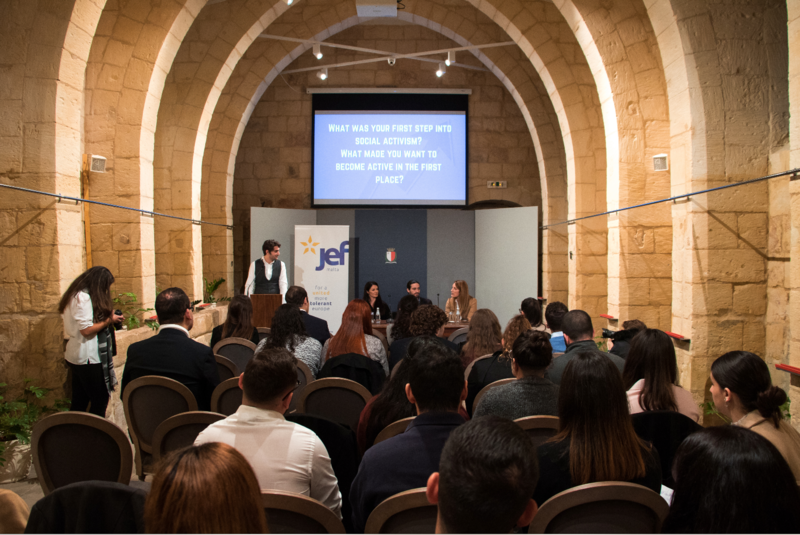 This was during JEF Malta’s first seminar on Youth Activism which was held last weekend at the Presidential Palace in San Anton. President Colerio Preca opened the session with her key-note speech highlighting the importance of youth involvement in modern politics. Citing the Eurobarometer, the President said that the large majority of youth (78%) voted in the last European Elections. That being said, however, the involvement of youth in civil society on the island dropped to a mere 30%. “Civil society is fundamental to the development of policies to ensure the holistic wellbeing of our society,” said the President. Pointing out that complacency is “our greatest enemy”, the President said that the recent Vote 16 legislation, lowering the voting age by two years, is a clear sign of the “political will to empower young people to have more of a say in the way our society is developing. However, just voting in an election does not make us full and active citizens.” President Coleiro Preca ended with an appeal to young people to “make use of [their] voice to be heard.” Ms Mangion, on the other hand, echoed the President’s sentiment with a speech wrought with real examples of youth making a difference. From six-year-old Sophie Cruz, who managed to speak to Pope Francis to save her family from deportation; to nine-year-old Asean Johnson, who commanded the media with his rally call, “Education is our right, that is why we have to fight!” JEF’s Projects Officer, Andrew Micallef, subsequently summarised the overall tone of the event by reminding everyone that “it is up to us to shrug off the apathy”. The event also featured a panel discussion on the topic. 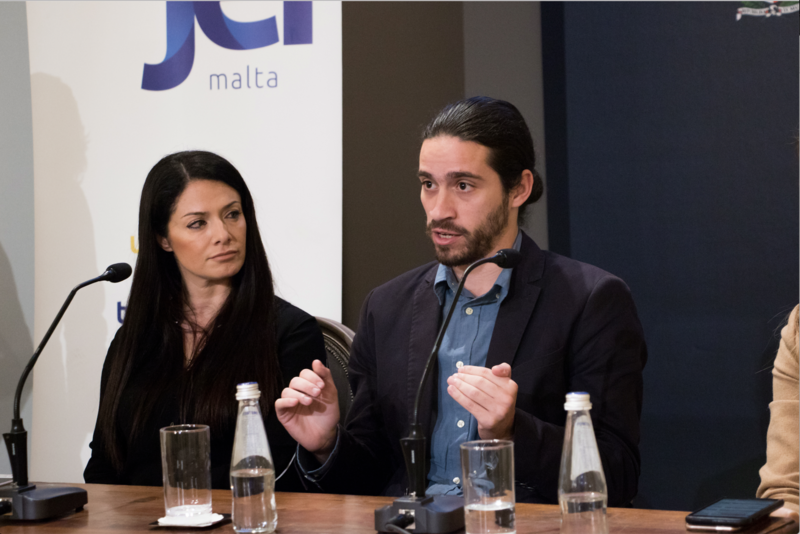 On the panel were MEP Dr Miriam Dalli, MEP Dr Roberta Metsola, and Times of Malta Journalist and ex-Insiter Mr Philip Leone Ganado. All three participants shared their past experiences as active students before discussing issues like political censorship, online harassment, and the power of the youth’s voice. Mr Leone Ganado started off by pointing out that there is a fine line between being an activist, and being a journalist. He also pointed towards the harrowing reality of political machines set up to systematically stifle political dissenters, so much so that a culture of anonymity as survival has been maintained for years now. However, when asked about the effects on youth, the journalist replied, “It is impacting young people’s willingness, but should it? I don’t know. While these comments and this machine is very unpleasant and very nasty, it can remain words on a screen.” One of the main problems facing critical thinking in Malta is the “bizarre” media landscape where a vast percentage of the population get all their information directly from political or state networks, ONE, NET, or PBS. While Mr Leone Ganado conceded that the media can do a lot more to help young people and their organisations’ plights, young people also need to do their part to ensure that they can capture the media’s attention.